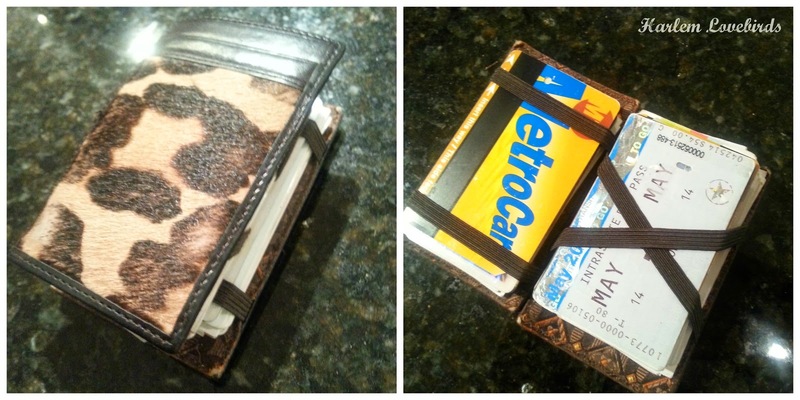 Harlem Lovebirds: HuMn Mini-Wallet: It's Changing My Life Ya'll! HuMn Mini-Wallet: It's Changing My Life Ya'll! Disclosure: I received a HuMn Mini-Wallet for review purposes. All opinions expressed are my own. I'm usually on top of things, but the truth is due to pregnancy brain or just age, I'm seriously slipping. Since being pregnant I've misplaced my driver's license at least twice. The worse was when I went to check the mail one day and somehow my driver's license was inside O_o NOT GOOD! I've shared my frustration before with finding the right system for carrying my phone AND wallet essentials, and while I've come close to a solution, I'm always on the hunt for something better. I carry a small cross-body bag most of the time, and while I really wanted a combo phone/wallet case to be the answer I had to compromise to separate the two due to my bad luck with broken phones. I MUST have a WWIII proof case on my phone at all times - that's all there is too it! The last straw was when carrying my cards in my makeshift "wallet" (pictured above, it's more like a glorified business card holder) everything spilled out on the street, and I lost my driver's license. I ended up backtracking my steps and calling around to every place I had been. In the end it was stuck to another card, but it was quite the scare. Just a few weeks before that incident while visiting my parents, I completely lost my debit card and after doing a full sweep of the car, house and backtracking steps again I had to cancel it, have a new card reissued and then go through the process of updating all my accounts. Ughhhhh. As a soon-to-be mama of two I simply don't have time for this nonsense! When HuMn reached out to me to review their Mini-Wallet (MSRP: $29.99) soon after all these mishaps I was intrigued; it was as though they had been following my scatter-brained self around! 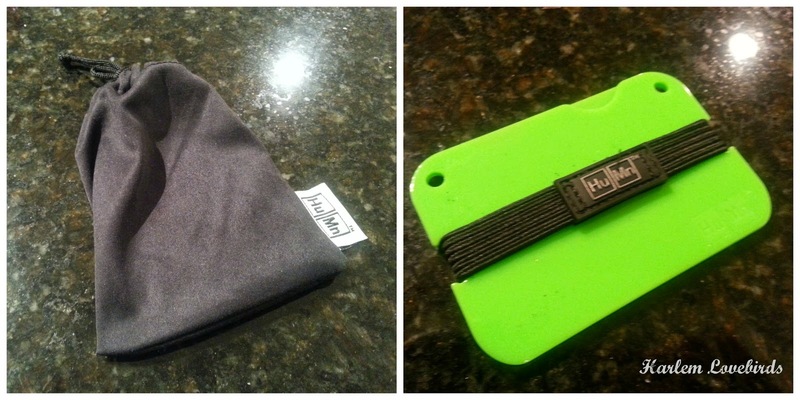 Made from high-grade impact resistant injection molded plastic the HuMn Mini-Wallet's suprisingly thin, and has the snap bands similar to my makeshift wallet, but I wasn't sure it would really do what it lived up to: hold everything easily in place without falling out. So are you a believer? Thought so! You can get your own HuMn wallet here. There are other sizes and colors available to truly customize it how you want it - you can even add more plates to expand the wallet. I personally love to keep it as simple as possible and the mini-wallet works for me! Also as an entrepreneur I really appreciate that it's a start-up and am happy to support HuMn (the spelling comes from combining the founders' names - I love details like that!). What's your current wallet situation like? Have you ever lost an ID or debit card?